Thanks to luckz for helping with the poll! Do you have a Soft spot for these games on your Body? [Tier 1] Into the Blackhole with my $1. [BTA] Above-average games worth Beating The Average for! [Have] Don't Sink there's much left for me here. 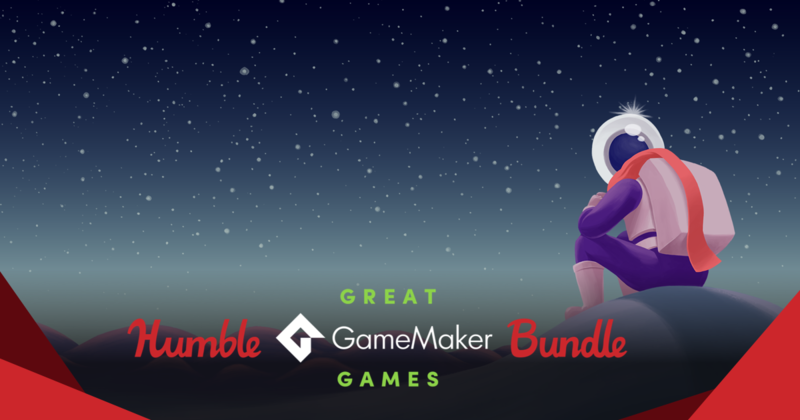 [Expensive] For $12 you could find something better than GameMaker titles, eh? [Semi-Potato] I just bought most of these in the Lunar Sale. RIP. BTA was at 6.99 when I looked with 36 bundles sold. Edit: Not buying it either. Only really want Kingsway and maaaaaybe Soft Body. $5.14 was the low for me. Wallet safe another week this might be a record! I don't know about a record, but personally, I'm still waiting for the first good bundle of 2019, for sure. I don't even remember what was the last bundle I bought. Fanatical has way more interesting stuff. 4,77$ lowest for me (but I guess it could be lower, as my web browser had problems with memory (and freezes for some time in that moment) and could missed better BTA:). Not that it will matter for me. Probably will not buy. Only interested in Kingsway and possibly Crashlands. Not going to be worth it for it for me I'm afraid. Best BTA I've seen is $4.91 + 0.01. Thanks for the quick chart sensualshakti! Looks like some trash mixed with good games bundle. But why? Why decent games are made with crap to one bundle? Like compltely different league of games. However I would probably, maybe buy it. Seriously, I don't know what to think of this. It's sad indeed. Edit: The quality and value of a bundle is measured by the games you already own, it's not a bad bundle for newcomers. Currently 0,69€, bundled 6 times and once free "12 is Better Than 6" in T3 - seems legit. Was interested in every single game in the first two tiers! ...Of course, I already had all but two of them in my library, but it was still worth it as far as I'm concerned. CSD is excellent, and I'm sure the sequel is also great. Expecting good things from kuso from how good LOVE was. I hated Solstice due to how cynical everything was, but it's still done well and will probably appeal to someone else. CSD is excellent, and I'm sure the sequel is also great. Dunno, I loved the first game, but 2 is just missing the vibe for me. Solstice is wishlisted, but the only other ones I care for (Cooking) I already own both. This ain't going to be the one. Had some interest in "Alone With You", but surely not from this bundle. The whole assignment of games per tier is so odd in this one, plus none of the other games interest me in the slightest. Only Way of the Passive Fist seems very good to me... I think $12 just for one is expensive enough to make me skip. I'm interested in Kingsway and kuso but BTA is too high to justify it, pass. got tier 2 for $6, which was a little over the average at the time. don't sink looks interesting but not enough to spend an extra $6 when i already have 3 of the other tier 3 games. I bought it on steam, when it was on sale for only 0,99 Euro (3th January 2019), so i think that if you wait for next sale, you can get it for low price too. wow, never seen so many games in tier 3.
just got back from lunch and now the BTA is approaching $8, yikes :P missing a bunch of games from T3 but I guess I will pass on it. 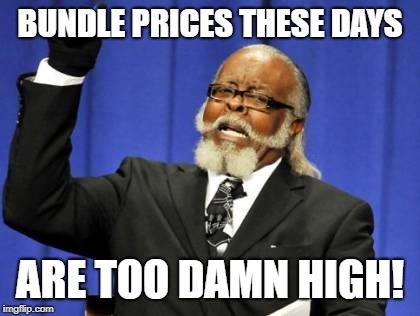 Bundle prices these days are too damn high! you really shouldn't hide that, Cal, cause it's... huge! This is an easy pass, with only one game in the bunch being wish-listed. I own all the games I would want from this already, but it's not such a bad bundle overall. Decent variety of games.